Find Out If Your Copy Is Set Up To SELL With Authenticity & Integrity... Or If You're Leaving Sales Behind. Anyone can “write copy” but it takes knowing the fundamentals to write copy that connects & converts. This checklist will help you determine if your copy is set up to sell. 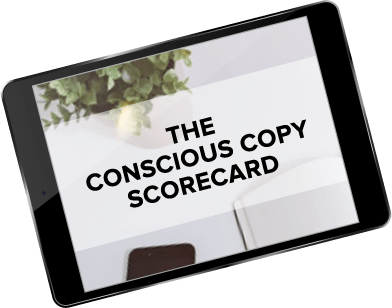 Get Your Free Copy of The Conscious Copy Scorecard Now!